The Fony II 2015 model has been refined by our shaper Phil Hodge. Super fast, flies past sections like there’s no tomorrow. The exaggerated vee allows good transition from rail to rail. 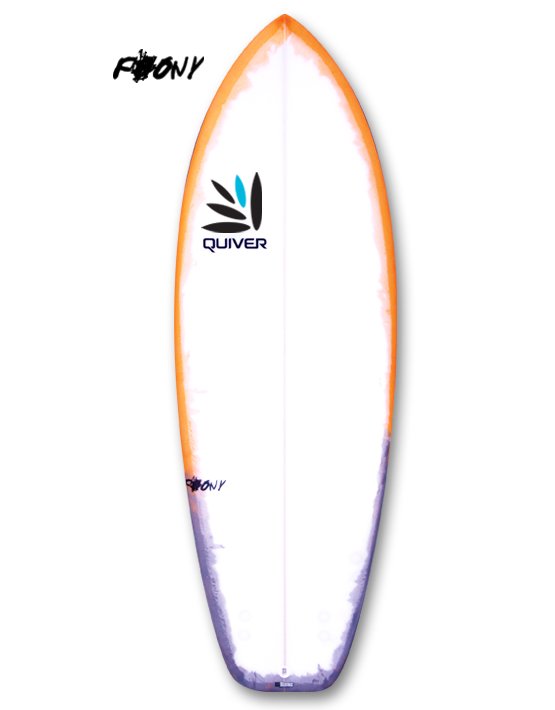 Short and wide and thickness throughout makes this a great board for the beginner and intermediate surfer who wants to have fun and catch lots of waves or for the advanced surfer who wants to add something fun to their board range. Ridden 7-10” shorter than your standard shortboard. The Fony II comes standard as a 5 fin giving you the choice of fin set ups: thruster, quad or 5 fin. Can be customized to your own specific measurements. Comes with FREE freelap resin tint with the colours of your choice. Product ID: 443 Category: Boards.